If your sewer lines or drains are not cleaned regularly or properly, they can become clogged or blocked, leading to damage in the line and to the pipes. Un-cleared blockages will hold up the plumbing system and keep it from working as it should. This can also lead to flooding, which will have even more dangerous effects. Luckily the experts at Orange County drain cleaners offer 24-Hour Emergency plumbing repairs along with our drain cleaning services. So, when you are in need of Orange county drain cleaning stop by our shop at 1230 North Jefferson, Suite H Anaheim 92807. Or give us a call 949-462-9773 or 714-987-980. Imagine the stress you experience when you are busy with morning routines and realize the toilet backs up. Whoops! Your daily program crumbles. You fear the dirty sewer water system will damage the carpets and household appliances. Worry no more! 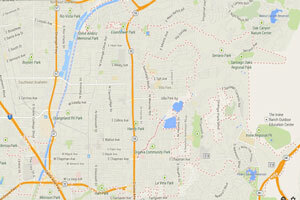 Consult Scott English Plumbing Inc., the reputable Orange County drain cleaning and sewer cleaning company. Calling our highly experienced emergency plumbers to offer rooter service in Orange County is a wise decision. Not only do we respond to your distress call promptly, but our plumbing team equipped with the most up-to-date and technical skills will get your toilet and sewer draining again in a short while. It is important to Schedule drain cleaning in Orange County not just to fix immediate problems like blocked drains, but also to prevent issues and clear blockages like roots growth or mineral buildup. A scheduled drain cleaning in Orange County or Orange County sewer cleaning will keep the pipes, drains, and sewers in good condition and function smoothly. Our response time: 60 minutes or as scheduled. Typical reason for sewer and drain cleaning: blocked drains, plugged lines, or for simple maintenance. 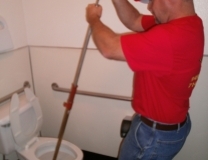 What we clean: plumbing lines, sewer lines, main lines, sinks, toilets, showers, more. Cabling your drains enables our Orange County drain cleaning team the opportunity to use blades of different bits on the end of the cable depending on the sizes of materials causing problems underneath the surface. The pipe diameter can also determine the bits we insert into pipes. We will help you identify the most cost-effective solution for unblocking clogs and problems in your drain and sewer line. Call Scott English Today to Make your Household & Commercial plumbing clogs and backups Go Away!